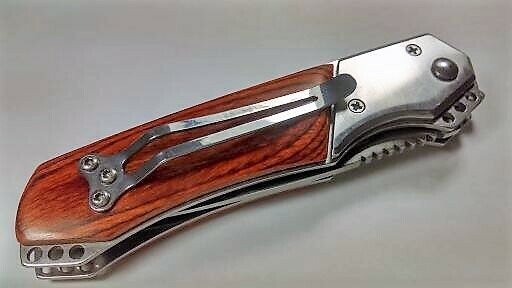 The Gentleman's Rosewood automatic knife features a stainless steel constructed frame. 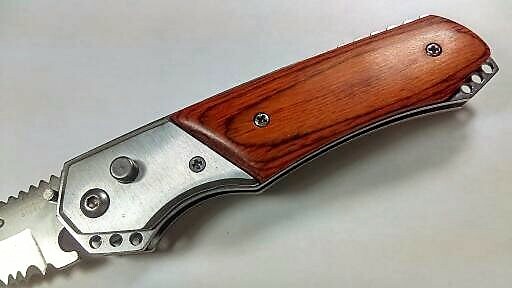 440 Stainless Steel drop point plain edge blade. 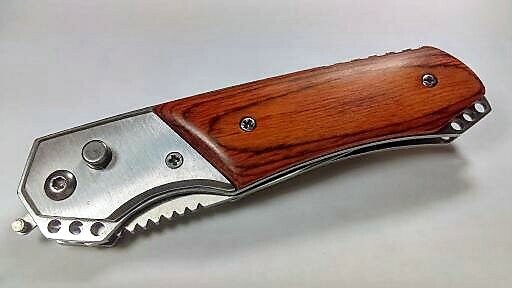 Solid wood handle scales. 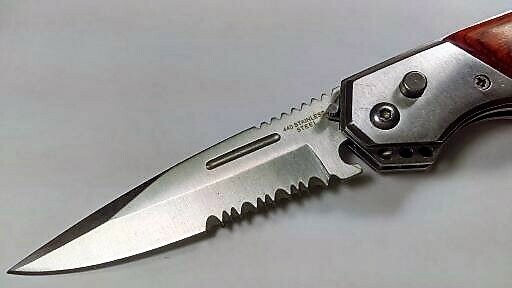 Includes safety lock and spring steel pocket clip. 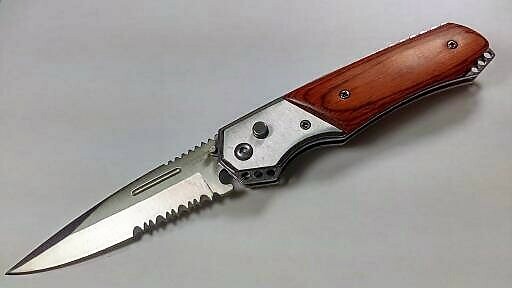 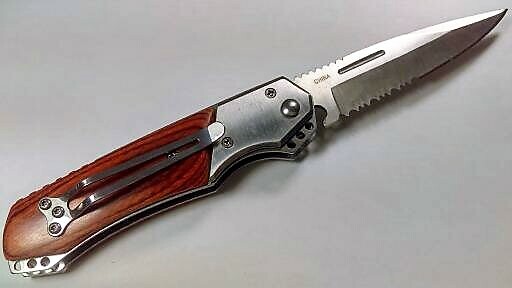 Overall Length: 8" Blade Length: 3.5"